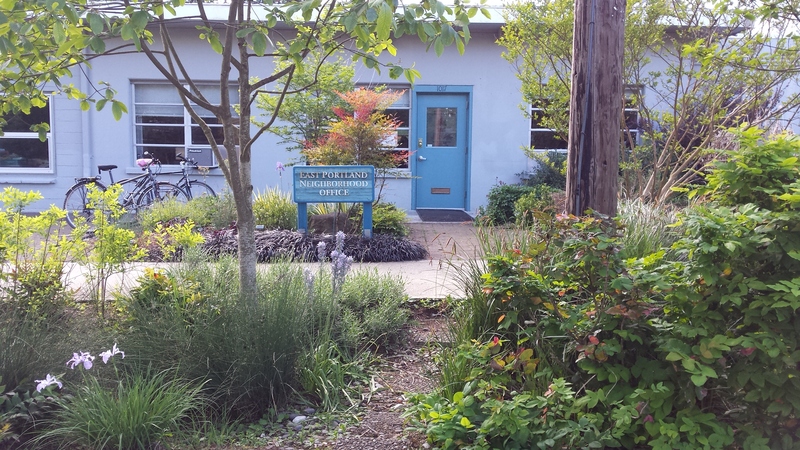 The East Portland Community Office (EPCO) is one of seven neighborhood offices of the City of Portland's Office of Community & Civic Life that provides community building and civic engagement support. Our service area covers the part of Portland east of 82nd Avenue/I-205 and includes about 25% of Portland’s population. EPCO is a community-driven program, supporting community members with their civic engagement and advocacy activities. EPCO has created a 3-year report to showcase the breathd and depth of the work, how we've evolved recently, and our current projects. Flip through it here! EPCO acts as a hub for East Portland independent organizations in their work. Fostering collaboration ‐ Cross‐organizational work on projects and advocacy on public policy. East Portland’s greatest asset is the diversity of communities that live, work, play, and come together in East Portland. EPCO’s mission is to support the community building and advocacy activities of diverse East Portland communities. Community building and advocacy look different in different communities. People will work with EPCO in ways that are meaningful to them and when the programming is relevant to them. We should not privilege one model of community building, advocacy, or organizing. Instead we invite people to work with EPCO in ways that are meaningful to them; let them define their own issues, set their own activities, and use organizing models and structures that work for their communities. Our program is actively evolving and showing what collaborative, inclusive, and equitable support of community-driven efforts can look like. Here are the goals, values, and considerations that drive our work. EPCO community workgroups have identified the following priorities for the program. Work has already started on these priorities. Because of their complexity and importance, we expect these to be multi-year priorities. Continue to support community activities through existing direct funding streams.